This was the one you will remember. In all the coming months of the off-season, in all those days where baseball is just a notion, this is the one you will reflect upon and smile. This was the one that almost got away, and the one that didn't. This was the one that came with the bad start and the shaky finish, the one that ended and made you think "is it finally over?" This was an improbable, skin-of-the-teeth, sweat-of-the-brow, last-heartbeat, width of an eyelash victory. In the end, it was 8-7, Tampa Bay over the Yankees. 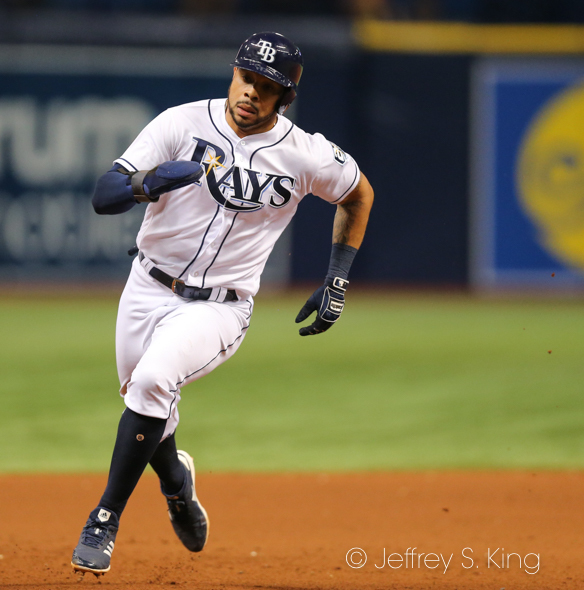 There was so much of this year's Rays' team reflected in their latest victory. All year, this has been a likable, resilient bunch. This was that way, too. The Rays fell behind 3-0 in the top of the first, and then had to hold on after giving up a four-run ninth by the Yankees, but they won for the 88th time this season. There was other drama in the game. Centerfielder Kevin Kiermaier is out for the rest of the brief remainder of the season with a hairline fracture in his foot after being hit by a pitch. Outfielder Tommy Pham reached base for the 28th straight game, getting hits in 27 of them. During the streak, he has hit .398. Pitcher Yonny Chirinos pitched well, allowing only three hits in his four innings. 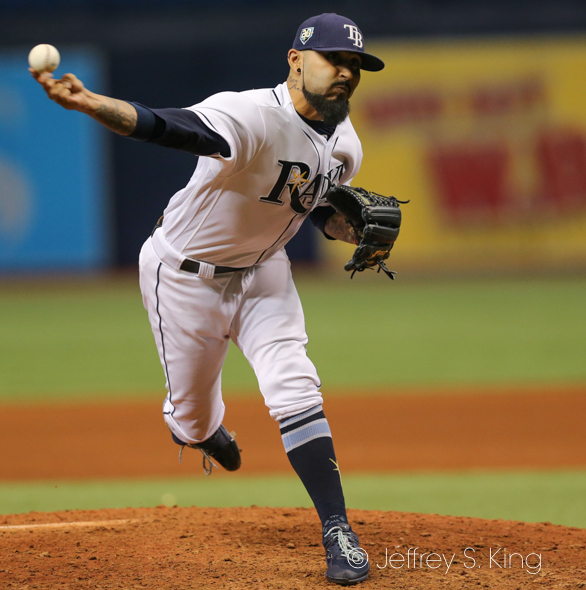 “I thought Yonny threw the ball really well," said Rays' manager Kevin Cash. "He made some big pitches when he had to. The double play ball with (Giancarlo) Stanton with the bases loaded was huge right before he came out of the game. Yonny is gaining some invaluable experience, especially in this atmosphere. Those guys are certainly playing for a lot with the home-field advantage. I like the way we’ve played. We came out and played and showed that we were playing for a lot to get down 3-0 and get right back in against (Masahiro) Tanaka, a really good pitcher. It shows a lot. "Sergio had a hiccup there, but give him credit for not losing his composure and for making two really big pitches to get out of that jam with Andujar and Wade. For Kiermaier, it has been a tough season with injuries. He hit just .217 this year. He tried to play after being hit, but he knew his foot wasn't right. “It didn’t feel good from the start," Kiermaier said. "I hate coming out of games and I wanted to try and tough it out. At the same time, if I don’t feel like I’m able, especially with the September call-ups, only on the defensive side I don’t want to go out there and cost one of my pitchers runs to hurt their stat line or their outing and I never want to be that guy and that’s where you have to swallow your pride and say that you trust the guy behind you. "I played that inning of defense and made a running catch that next inning. I wanted to run down, but still I knew where (my foot) needed to be. I wanted to get one more at-bat and I wanted to make sure that (Austin) Meadows or (Andrew) Velazquez were ready to go, but I wanted to wear that at-bat right there and make sure those guys are ready after that because I didn’t think that I’d be in the game too much longer. Hitting was the worst thing and having to sprint wasn’t fun either. Pham, on the other hand, has made the season worth following. The Rays are now 9-9 against the Yankees. With four games to go, Tampa Bay is 39-33 against the AL East with a losing record (8-11) against only Boston. Tampa Bay tries to win the season series against New York today (1:10 p.m.). 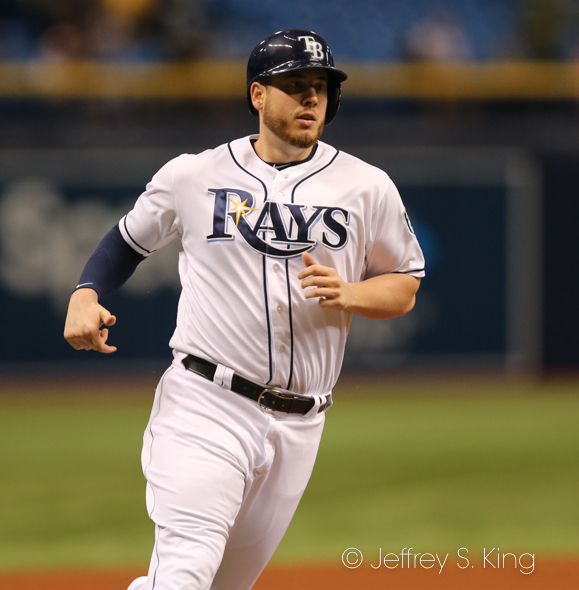 Jamie Schultz opens for the Rays against New York's C.C. Sabathia.